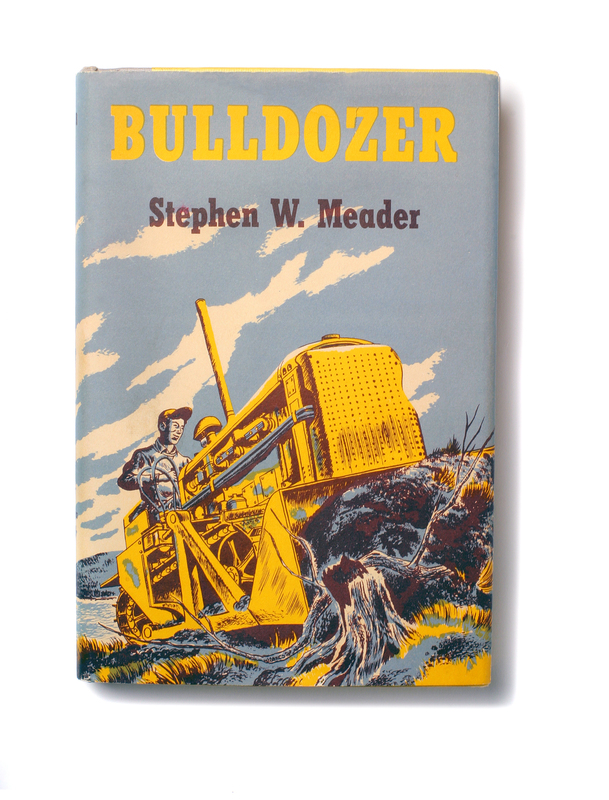 I first read Bulldozer in 1959, at the very beginning of the Space Age. Anything seemed possible, what with satellites orbiting Earth and men to follow. I was constantly exploring how things worked and trying to do more with my chemistry set and microscope than was possible. I built models, I read books, magazines and newspapers. With my friends I even built miniature Interstate highways on the dirt floor of an abandoned barn, using our Doepke and Tonka bulldozers, graders and other toys. My area had no organized sports to offer, and even the pickup baseball games I so enjoyed were given rather short shrift as I packed all my other activities–including Scouts–into days that always seemed to need more hours.